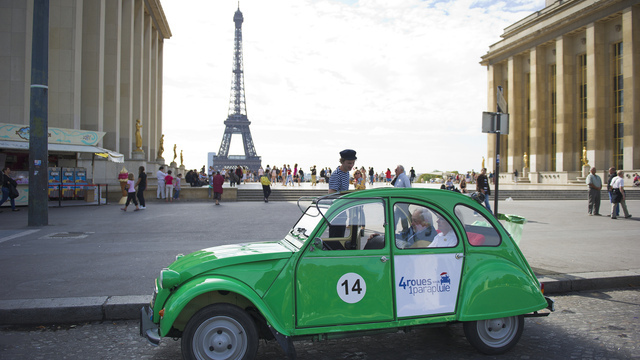 Exceptional sightseeing experience of Paris must-see attractions in convertible French vintage car Citroen 2CV! 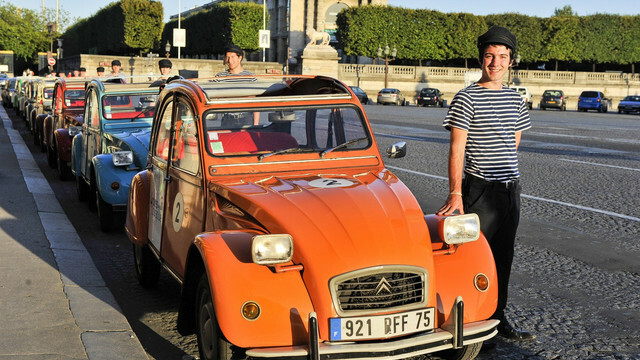 Your personal driver-guide will share with you some of the most interesting stories and anecdotes of Champs-Elysées, Arch of Triumph, Eiffel Tower, Invalides, Grand Palais, Opera Garnier, Louvre Museum, Place de la Concorde, La Madeleine church and more. 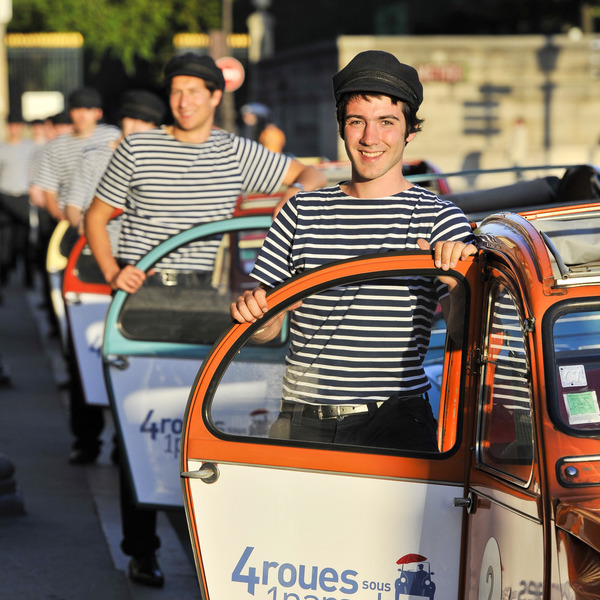 An authentic discovery of French culture from different point of view! 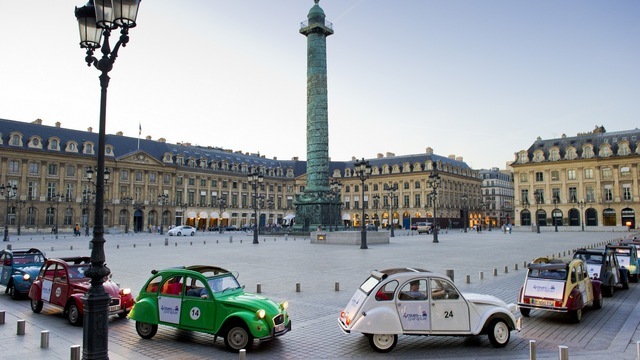 Your hotel or apartment as long as it is located in the center of Paris (1st to 20th district) or we propose a meeting point in front of the steps to the Opera Garnier on the Place de l’Opera. Tour is available every day at 9a.m -11a.m -1p.m - 3p.m except : July 14th closed; December 25th closed; January 1st, departures from 1pm. More than 72 hours prior to the service, no charge. Between 72 hours and 24 hours prior to the service, 50% of the price of the service. Within 24 hours prior to the service, 100% of the price of the service.